Melody is beautiful inside and out. She has a delightful outgoing nature with a tremendous will to please combined with a great working ability, she is our comedian, a laugh a minute. Melody’s wins include: Res. 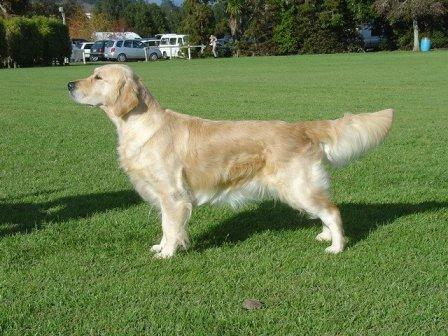 Best in Show, Bay of Plenty Gundog Show Society 2004 Best in Show, Golden Retriever Club Ch. Show 2005 Winter Show Res. 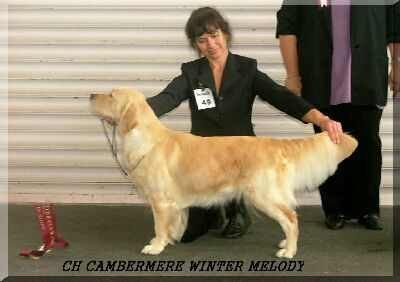 Best in Show, Golden Retriever Club Ch. 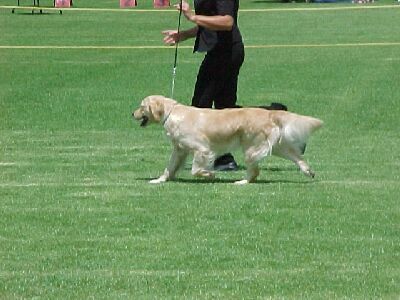 Show 2005 Summer Show New Zealand Bred in Show, Golden Retriever Club Ch. 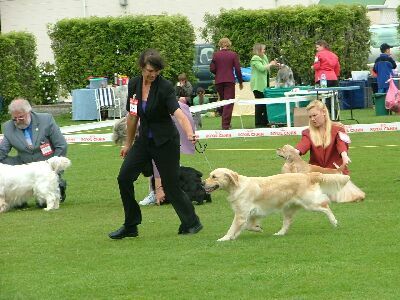 Show 2006 Winter Show Multiple Best & Reserve of Group wins at Championship Shows. 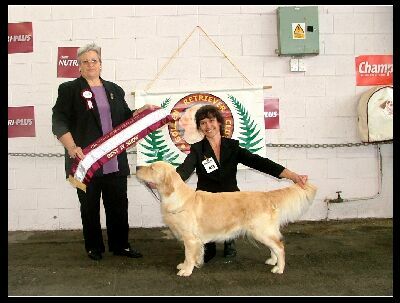 Bronze Certificate of Merit 2005 Silver Certificate of Merit 2008 Melody was retired from the ring after her 41st challenge at 8 years of age. Melody passed away on Christmas eve 2017 peacefully at home, she was a special girl who will always be remembered for the love and joy she brought us.